Metal Meena Horse in white colour with gold and colorful painting all over it, is an art everyone will appreciate.. It's beautifully decorated and is made of metal. It shows the beautiful Rajasthani art work. It can be a gift for yourself or someone you love. This item in Handicraft & Home Decor category was first added to our catalog on 07-08-2018. 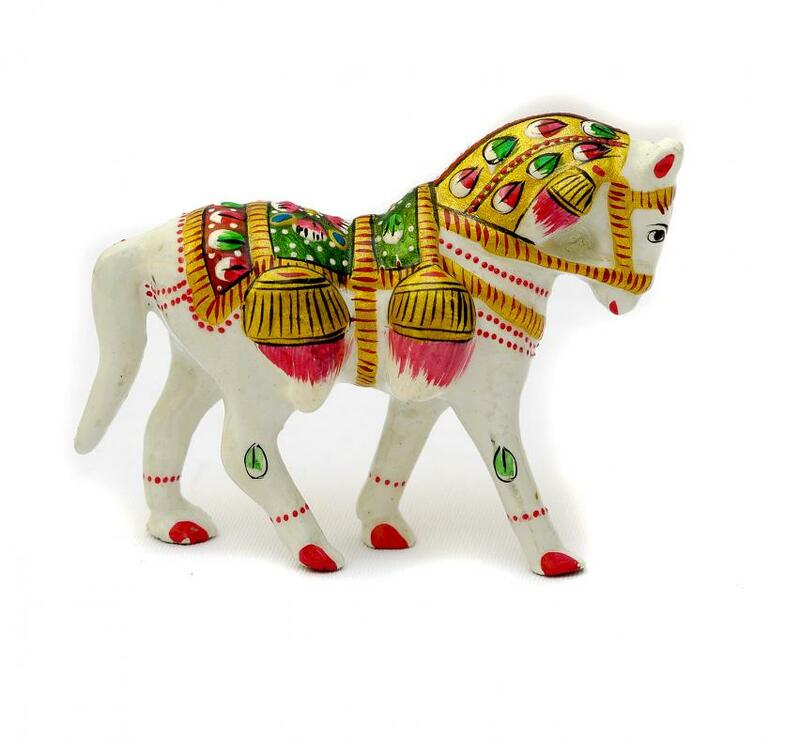 Buy Jaipuri Home Decor Meenawork Metal Horse Showpiece, sold & shipped by Yashaswini Kalagrah where you can shop online for Unique Artisan Crafted Indian Handicraft. This Home Decor collection has been tagged as Horse, Meenawork, Jaipuri Art, Painting, Rajasthani, Gift, Decoration, Indian Art, Ghoda Horse Statue, Animal, Meenakari Figurines.